English Heritage are expected to give a short period of managed open access from approximately 05.45m to 8.00am. Sunrise on the March 21st is at 6.11am. A rare supermoon is set to stage a nocturnal spectacular in what will be the third and final occurrence of the phenomenon in 2019. On Wednesday and Thursday, the full moon will be closer to Earth, and so brighter than it usually appears. This is the second of the four ‘sky points’ in our Wheel of the Year and it is when the sun does a perfect balancing act in the heavens. At the Spring (or Vernal) Equinox the sun rises exactly in the east, travels through the sky for 12 hours and then sets exactly in the west. So all over the world, at this special moment, day and night are of equal length hence the word equinox which means ‘equal night’. 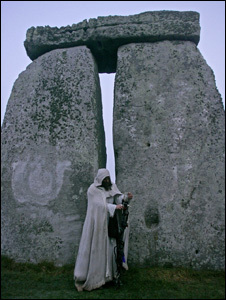 Of course, for those of us here in the northern hemisphere it is this equinox that brings us out of our winter. For those in the southern hemisphere, this time is the autumnal equinox that is taking you in to your winter. And this is very much how I think of the equinoxes – as the ‘edges’ of winter. This is why they can be quite hard on our bodies as it is a major climatic shift, so it is a good time to give a boost to your immune system with natural remedies and cleansing foods. Here in Wiltshire (as with the rest of rural Britain), it was traditional to drink dandelion and burdock cordials at this time as these herbs help to cleanse the blood and are a good tonic for the body after its winter hardships. As the Vernal Equinox heralds the arrival of spring, it is a time of renewal in both nature and the home, so time for some spring-cleaning! This is more than just a physical activity, it also helps to remove any old or negative energies accumulated over the dark, heavy winter months preparing the way for the positive growing energy of spring and summer. 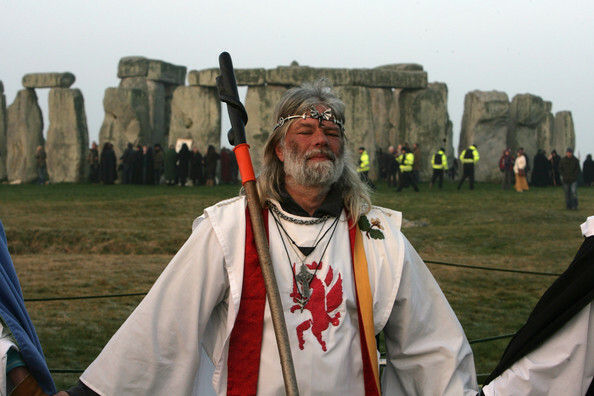 As with all the other key festivals of the year, there are both Pagan and Christian associations with the Spring Equinox.To Pagans, this is the time of the ancient Saxon goddess, Eostre, who stands for new beginnings and fertility. This is why she is symbolized by eggs (new life) and rabbits/hares (fertility). Her name is also the root of the term we give to the female hormone, oestrogen.By now, you may be beginning to see the Christian celebration derived from this festival – Easter. And this is the reason why the ‘Easter Bunny’ brings us coloured eggs (and if you’re lucky chocolate ones!) at this time of year. So, as nature starts to sprout the seeds that have been gestating in her belly throughout the winter, maybe you can start to think about what you want to ‘sprout’ in your life now and start to take action.